Our classes are a great way to embrace your inner sexiness, but it also has numerous health benefits that shouldn’t be overlooked. It will help you to burn calories quickly, and to build your self-confidence. Once you get the basics down and strengthen your muscles a bit, you will quickly begin to develop some serious skills and a body that makes heads turn. You’ll be less stressed out and it will motivate you to work out more. 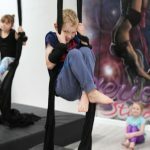 Not sure that you want to run off and join the circus but love the circus stuff? 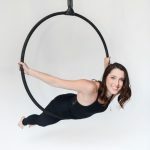 Then you need to try Aerial hoop lessons. 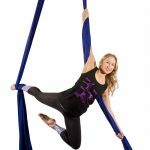 We define our aerial silks classes as the most fun one can have while doing a work out off the ground. Our classes are designed to get YOU up and about – literally! Along with a class full of fun and soon to be friends, you will experience a whole range of health benefits and you won’t even realise it’s happening! 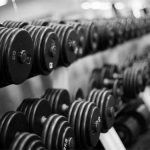 We also offer wellness services and personal training.